Now that I live in Brighton & Hove, I find myself at least once a month taking the bus out of the city to Saltdean, for some therapeutic bodywork. 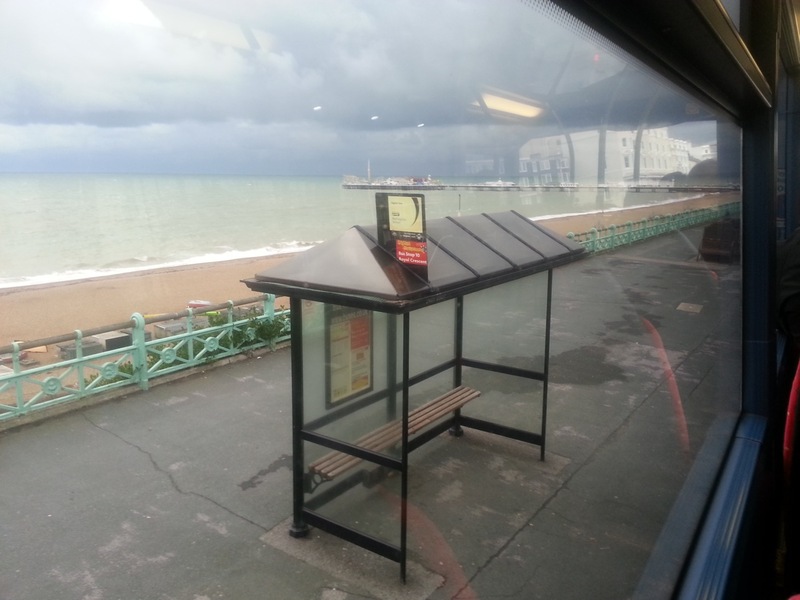 The bus route follows the coast eastward from the Pier, alongside the promenade out to Brighton Marina, mooring harbour for both millionaire yachts and working fishing boats. Then onward, the sea ever in view, through Rottingdean: pebble-dashed Sussex village, once home to poet-novelist, Rudyard Kipling and Pre-Raphaelite artist, Edward Burne-Jones. 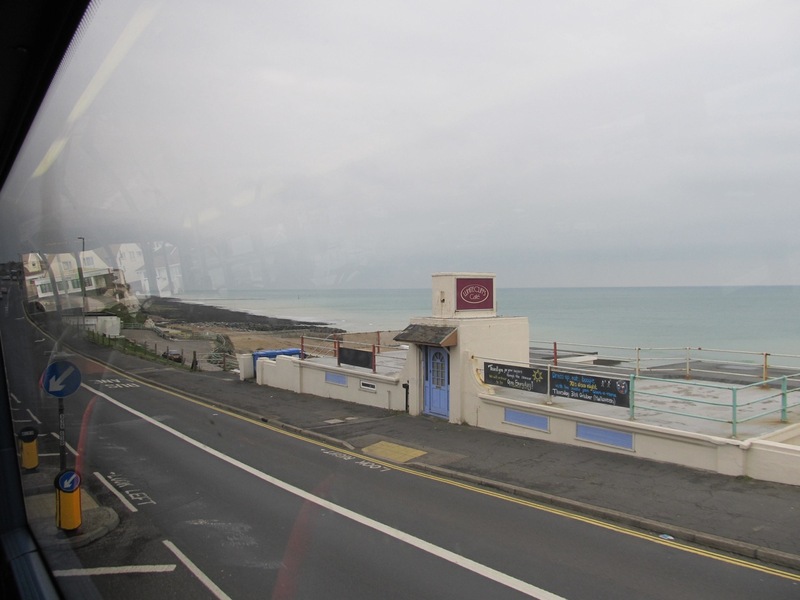 Saltdean is the next seaside town with its art deco swimming Lido and restyled Thirties apartment buildings. Three years ago, living in Devon my coastal travel took me, once a month, on the train from Totnes to Taunton in Somerset; I was travelling to the female-towards-male support group for the South West, like other Trans persons coming up from Cornwall or down from Bristol or Wales. This train journey ran alongside the Teign and Exe estuaries in Devon – and the sea between – on the now-famed railway line that collapsed at Dawlish during the February storms.